A new design in Fit Selection’s bracelet jewelry line – 24K Gold Plated Triple Plate Dumbbell Bracelet with Grade “A” Rutile Quartz beads. 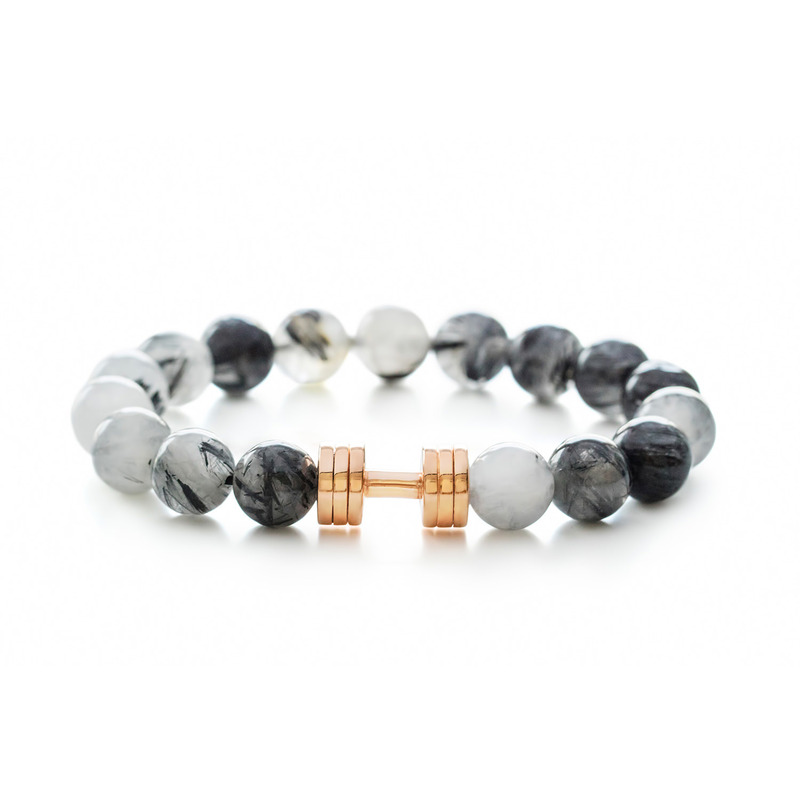 Rutile quartz dumbbell bracelet enhances the luck and fortune as well as intuition. 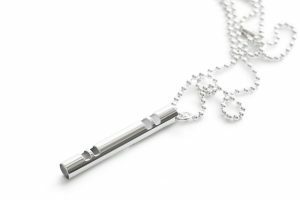 Introducing Fit Selection’s new jewelry piece – the Triple plate dumbbell bracelet with grade “A” Rutilated Quartz stone beads. 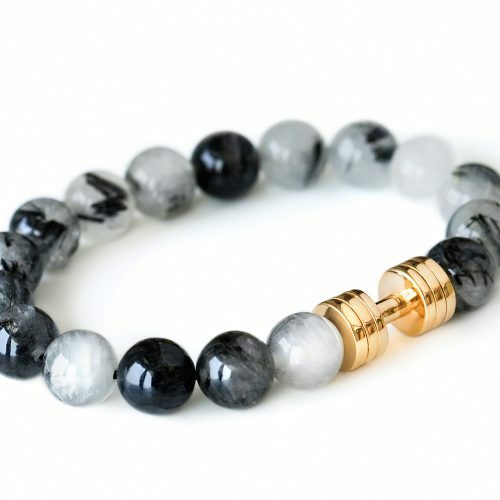 Rutile quartz dumbbell bracelet is made of natural high-quality Rutile Quartz stone beads and 24K gold plated dumbbell. Each bracelet is handmade by our team, wherein we put three rows of strong elastic cord through the beads to ensure longevity. Rutile quartz is reputed to be an energizing stone that helps get energy moving on all levels. Intuitive sources say that it assists with mental focus. It is also said to attract love and stabilize relationships. Rutilated quartz said to be particularly effective for getting things moving energetically. 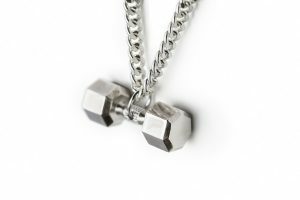 Together with Fit Selection’s well-known design of triple plate dumbbell pendant, this bracelet will be a great reminder and supporter for those moments where you feel like needing an extra energy in you fit lifestyle goals. 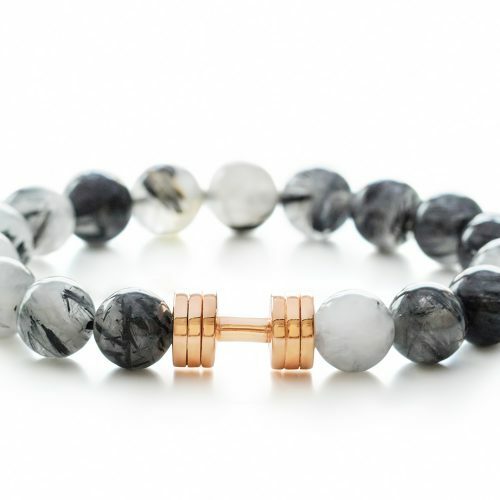 Determine your goals and achieve them easier with Rutile Quartz Dumbbell Bracelet. The dumbbell 24k Gold plated ensuring the long lasting and non-irritating even to sensitive skin. Standard bracelet size will easy fit 7-8 inches wrist, however, contact us directly in case you would require a customized size of the bracelet. 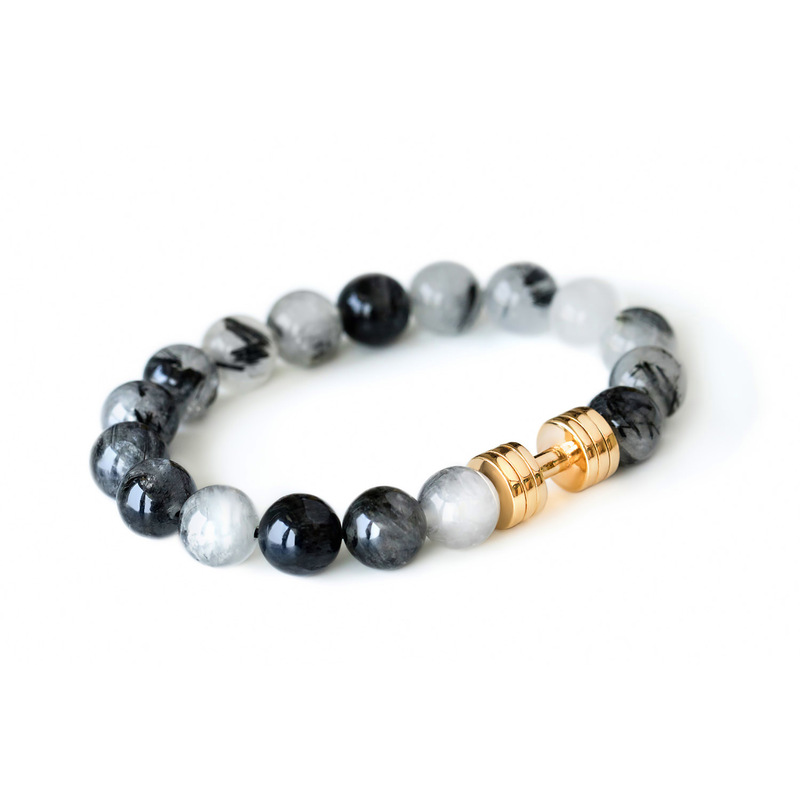 Rutile quartz dumbbell bracelet comes presented in a black Fit Selection box, making it an ideal motivational gift for your favorite spotter, encouragement for your friend or family member to improve life habits or a nice treat for yourself.